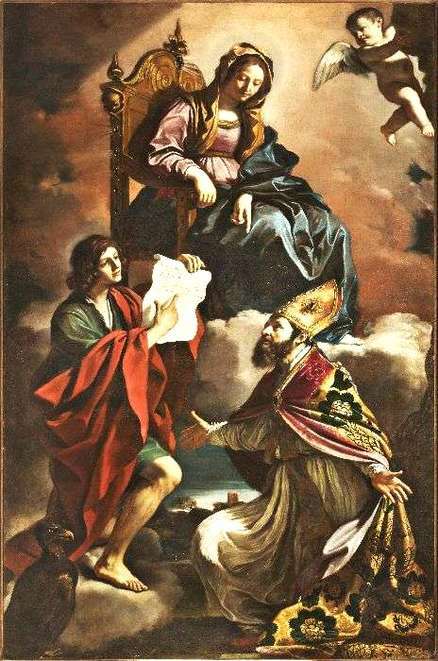 According to the parish priest Gianni Gherardi, who reported the theft, the church could not afford to insure the painting. Its alarm system—fitted during a renovation in the mid-1990s that was financed by the local bank Fondazione Cassa di Risparmio di Modena—had been inactive since the funds dried up, said Monsignor Giacomo Morandi, the vicar of the archdiocese. Church theft is a difficult problem in Italy, with so many churches filled with so much amazing art, hardening all these sites to thwart theft is an expensive and difficult undertaking. Church art theft usually involves smaller minor objects like candlesticks, smaller paintings of lesser value, and other ecclesiastical art. This theft appears to be of a much higher profile. This high profile of course makes it more of a headache for the thieves. There is no legitimate market any time soon for this work. Nick Squires, Renaissance Masterpiece by Guercino Worth £5m Stolen from Italian Church, Aug. 14, 2014. Hannah McGivern, Stolen Old Master painting uninsured and unprotected, The Art Newspaper (Aug. 15, 2014). Rubato in chiesa Guercino del “600 «Vale sei milioni» Polemica sull”allarme – Il Messaggero. Next Next post: What can be done in Syria?